This is the Guardians Edition in a series of poses that will help your renders reflect that. 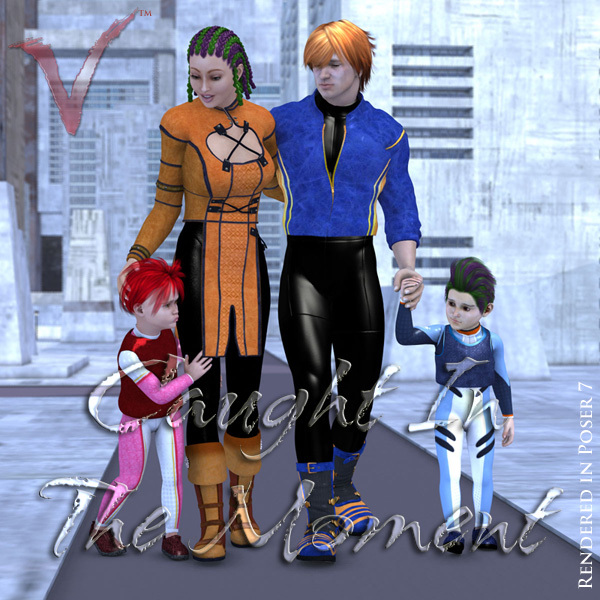 Introducing Caught In The Moment - Guardians. 20 poses, with mirrors, offering subtle, carefully crafted variety to reflect everyday activities for one adult and one child. 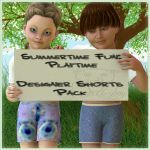 In addition, there are the two trio pose sets with one adult and two kids, and two quartet pose sets with two adults and two kids, with mirrors, that allow you to easily and quickly create scenes with just a few clicks. NOTE: This product was update on May 18, 2010, the Pose folder location was corrected. If you downloaded the product before this date, please Re-Download the product, your product downloads will have been reset.